Details of a new three-day conference in Johannesburg have been revealed today, which runs alongside SAITEX 2018 the continent’s most important event for exporters and importers. 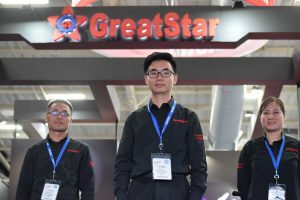 Representative from Africa’s largest international trading partners including Brazil, China, USA, Turkey and Germany, will be at The Trade Development Forum in Johannesburg, which runs from June 24 to 28. “SAITEX has grown in its 24 years to become an event that attracts government officials, diplomats, importers, retail and business leaders from across Africa and the world,” said Christine Davidson, Vice President of dmg events, organiser of SAITEX 2018. The Trade Development Forum will cover a range of issues including on Day 1, the Continental Free Trade Agreement (CFTA), Africa’s EU-style single market plan. Wamkele Mene, Chief Director: Africa Multilateral Economic Relations, International Trade & Economic Development Division, Department of Trade & Industry will look at the CFTA and the forecast its impact on trade. There are conference sessions on doing business in countries across Southern Africa, including Mozambique, Lesotho, Botswana and Swaziland as well as individual provinces in South Africa – Gauteng, Free State and Mpumalanga. There are two key sessions on Day 2, one looking at finance options for SMEs and the second dealing with access to the newly announced R4.9 billion government support for special economic zones (SEZ) over the next three years to be used in SEZs and industrial hubs to expand economic opportunities. And a representative of the African Development Bank will present a special report at the conference giving the latest economic outlook for African trade. It will include an overview of the key trends, short and long-term infrastructure plans and discuss the importance of industrialisation in creating jobs, reducing poverty and promoting economic growth. 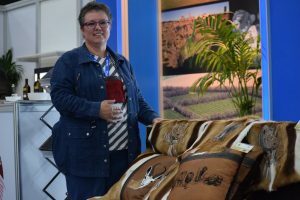 South Africa remains the gateway to Sub-Saharan Africa and the SAITEX expo brings more than 36 countries to exhibit and visitors from around the world for three days in Johannesburg. The new conference will enable key business and government leaders from across the region to come together under one roof in front of delegates who will move African trade forward.